“I’m an artist who likes a lot of things, usually I draw those things. When tasked with coloring these two pages I thought greyscale would help make it look good. So it was my attempt to practice greyscale coloring. I think I did a solid job given it’s my first shot. I hope you enjoy my work. they are and they aren’t simultaneously. THis is awesome!!! I love the Schrodinger cat sisters and Kzzrt is awesome, great rhyming. He could make great poetry. I hear Kzzrt in Macho Man Randy Savage’s voice. Every ship needs a killer robot! 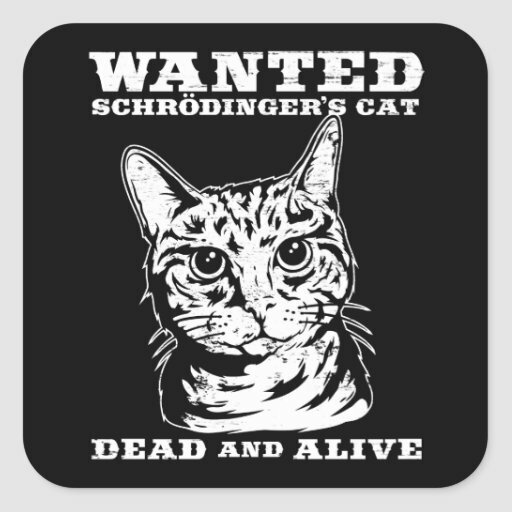 Bets on how quickly the Schrodinger sisters die? Maybe in a box that may or may not be open? So once again, curiosity kills the cat?? Given the nature of this comic, I’m going to say: not for a long time. The cats remind me a bit of Robert and Rosalind Lutece from Bioshock infinite. Nix.. You are evil.. What are you going to do to those poor felines? If they become a thing then cool, but you drew their faces so well and those cute fangs.. And you’re an evil person, I’m almost afraid to see what you have planned. But seeing as this comic is a part of my daily routine I’ll see it anyway, at least I have past pages to look back to (Assuming they do meet with some terrible fate). The cats can be both janitors and buxom beauties. They just have to wear maid outfits. A) There was nothing flawed with his experiment. It was a experiement of thought to prove the flaws of the physical model of the time. B) Agreed. Wonder what he’d look like with japanese cherryblossoms instead of sparkles though. A) his theory was sound, however, he stuffed a cat in a sealed box with no air holes and a vial of poison by bumpy carriage to the others. Cats dont do well in confined spaces and will freak out. So chances are, the cat broke the vial in a berserk attempt to escape the box. The theory was sound, but he should have used a turtle or lizard instead. I agree. You make a valid point. Hahaha! That is an epic pic! Wait…Kzzrt pretty much AWESOMED the sparkles off of Johan?…wow, I like him already. And the Schrödingers too! Wait…Did Kzzrt just…AWESOME the sparkles and petals off of Johan? I like him already. And the Schrödingers too!